Home / News / Get North 2018! 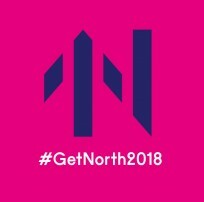 The Great Exhibition of the North is set to be the biggest event in England in 2018 and all NGCV partners will be involved in making this a spectacular summer of activities and events over 80 days from 22nd June to 9th September. The programme was launched on 27th February at Sage Gateshead and offers hundreds of free activities, including amazing exhibits, live performances, displays of innovation and new artworks and magical experiences, with plenty of immersive experiences, hands on activities and family friendly fun - all set against the backdrop of the stunning NewcastleGateshead cityscape. The Exhibition will tell the inspiring story of the North of England and how its innovators, businesses, artists and designers have shaped our present and are inspiring our future. Hosted in NewcastleGateshead, on behalf of Northern England, the event is expected to reach an audience of three million people, including more than one million visitors from across the UK and overseas. It is a game changing moment, when we will share with each other and the rest of the world, how ingenious, inventive and imaginative our people are. it's a chance to change perceptions of the North and begin a new chapter of our dramatic story of innovation. As part of the opening event, visitors will experience the UK’s largest water sculpture from the Quayside, a brand new film about a journey across the North of England, performances from Kaiser Chiefs and a live presentation by Lemn Sissay of his newly created anthem for the North. The inaugural evening will also bring together art, design, culture and innovation and will reveal content that will be present throughout the 80-day exhibition. On 9 September, the world’s largest half marathon, the Great North Run, will form the centrepiece of the closing weekend. The Great North Museum will open its doors with ‘Which Way North’, a visual experience which introduces the wider Exhibition and a display of iconic Northern objects. BALTIC will display artist Ryan Gander’s pared down sculptures depicting objects that symbolise innovation born in the North of England; commissions from artists such as Jane and Louise Wilson, Michael Dean and Tim Etchells; and a maquette of Antony Gormley’s Angel of the North. Sage Gateshead will curate a great Northern summer of music, filled with concerts, festivals and family activity featuring cutting-edge artists such as Nightmares on Wax and classical concerts from Royal Northern Sinfonia. The Great Exhibition of the North is backed by over £5 million of Government funding and is an example of how the Industrial Strategy is helping to drive growth across the region and promote the innovative businesses and economy of the Northern Powerhouse. Matt Hancock, Secretary of State for Digital, Culture, Media and Sport, said: "The North is a hotbed of creativity, with a proud history of innovators, businesses and artists that have shaped how we live today. Not only will the Exhibition showcase this incredible diversity, it will also boost tourism and deliver growth to the region." Sir Gary Verity, Chairman of Great Exhibition of the North, said: "As well as being a showcase for some of the best creative and inspiring talent from the North of England, our diverse programme tells a pioneering story and one that will help change the way the world views the North." Lauren Laverne said: "I'm thrilled to be curating the Great Northern Soundtrack as part of the Great Exhibition of the North. 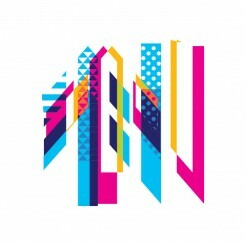 It's a great opportunity to showcase the vast array of talent the North of England produces."